If you suffer from networking nerves, this short Insight might be exactly what you need. … but seriously, is there really that much to this? I’m assuming that you’ve done your homework on the event and on the people attending it. 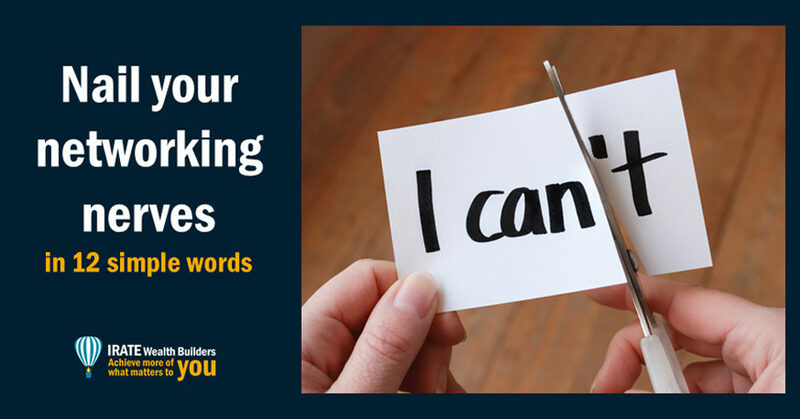 So, you believe it’s the right place for you to be – to achieve some of your networking goals. … or ‘tacky’ for trying to sell. Ask open questions – few do this. Listen, carefully, to the answers – very few do this. And follow up after the event, even if there’s nothing in it for you – only the most successful do this. Just be careful not to go ‘too deep’ with your questions at your first meeting. The science of relationships (from Dr Desmond Morris) shows how we need time (and a few stages) to build bonds with others. And this applies to our business as well as our personal lives. So, if you’re a coach or adviser of some sort (and there’s a clear demand for your work) then your target audience will reveal their challenges to you if you listen well to them. It just might take more time and more contacts than you expected when you started out in business. People need time (and evidence) to build trust in us. But what about your ‘pitch’? Well, what about it? !! Does anyone really want to hear it – at a first meeting at a networking event? I guess they might expect to – if that’s how the event is organised… and I know a lot are. … and that might very well be something that you (or someone you know) could help them with. Providing a service is, after all, helping the customer right? Just remember, that few people (including you and me) ever get bored with a conversation where they do all the talking. So, being the person who helps others do that (and listening to them) is secret number 1 to Face to Face selling as we saw here. So, relax, take the pressure off yourself. Just say ‘hello’… with a smile of course, and invite others to talk. … and powerful of course. There’s an art to writing a good short pitch, and if you want help with that – give me a shout. … and then ‘flip’ the conversation back onto the other person and their interests. Okay, but what about that poem? Right, well if you struggle to keep other people talking (and telling you more about them) then you probably need to use more open questions. 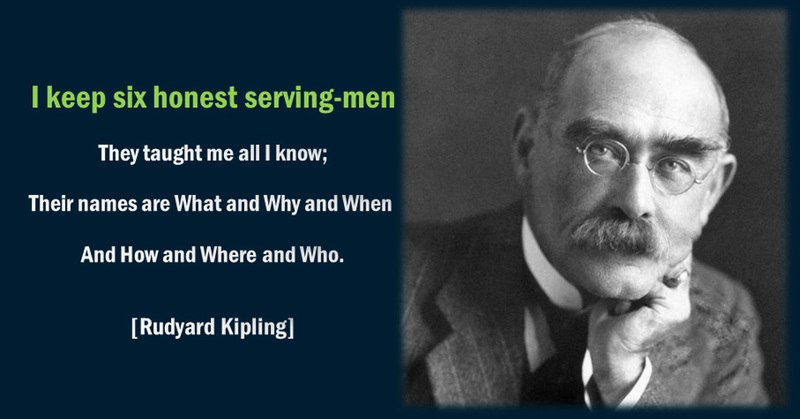 So, remember this advice from Rudyard Kipling – and you won’t go far wrong. It’s only when you know something about the people you meet (at networking events – or anywhere else, including online) that you’ll see how to help them with your services. You really can’t help someone if you don’t understand them or their problems, can you? So, the best place to start is in learning how to learn about others with simple open questions. And, like most of the best ideas – this is not new either. Now, I’m not saying it’s easy to ask broad open questions with confidence – but I know everyone can do it – with practice and coaching. 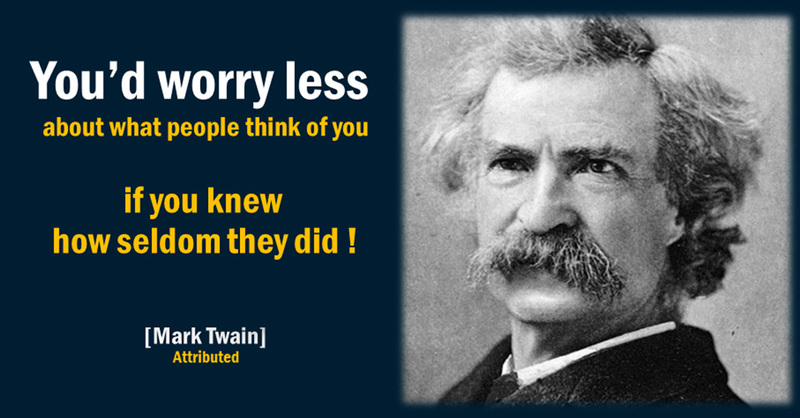 And we certainly shouldn’t worry too much about what others are thinking of us. So, let’s just work with that fact and concentrate on the other person… rather than worrying about what others think of us. To learn more about coaching, to see if it could benefit you … and to learn what a good coach looks like and differs from the rest… read this Insight. I’ll always do my best to help if I’m available.